You won’t mistake the massive, billowy frame of the New York Yankees‘ C.C. Sabathia on the mound. He’s always been one of the most recognizable players in baseball. It might be harder to recognize the pitching style Sabathia is employing these days: soft stuff away, cutters inside, and sliders up in the zone. Yet this change in repertoire has been everything for the big lefty during his amazing comeback season, and he’s re-emerged as one of the game’s most effective pitchers. 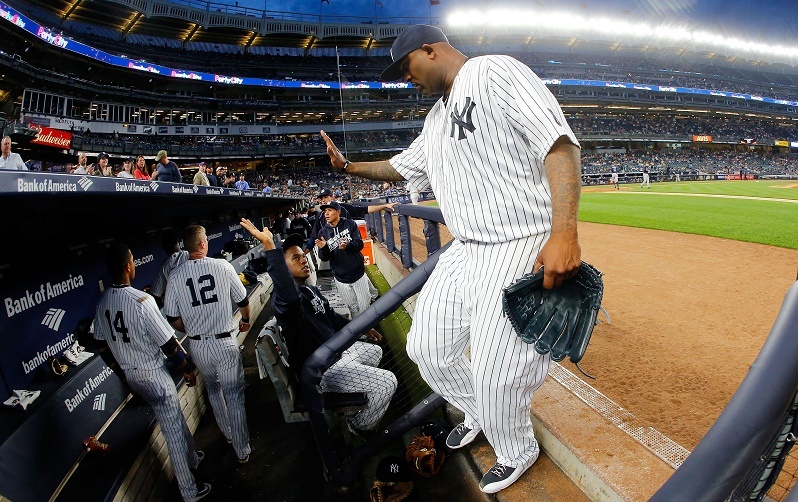 It wasn’t long ago we were wondering whether Sabathia had anything left. The question was far from frivolous or snarky; instead, it had to be asked about a pitcher whose best days seemed behind him. After ending 2015 in rehabilitation for alcohol problems following a litany of injuries, the odds for his successful return to baseball were astronomically long. In Spring Training, Sabathia wore the knee brace that helped late in 2015 and competed with Ivan Nova for a spot in the rotation. It looked as if he would lose to the younger, hungrier right-hander. Nontheless, Joe Girardi and Yankees management decided they would go with experience and track record and gave Sabathia the fifth spot. He promptly turned in a mediocre April (1-2, 4.50 ERA) and headed to the disabled list following a solid turn against Baltimore. But since returning May 20, he has posted a 0.97 ERA in six starts, second only to Detroit’s Michael Fulmer (0.26). 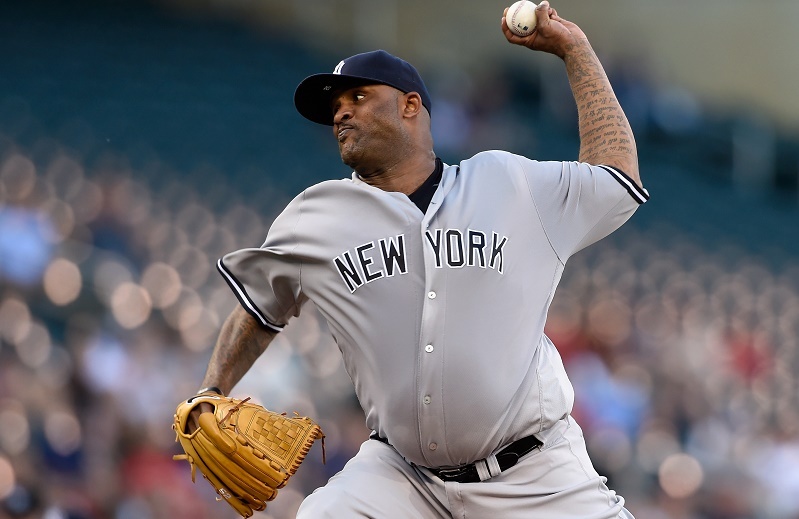 Looking at Sabathia’s numbers sandwiched between those of Madison Bumgarner and Clayton Kershaw, you wonder how C.C. has pulled it off. Sabathia is walking more batters (3.72/9) than any of the league’s best and striking out fewer. Yet his puny home run rate (0.28/9) and rate of stranding runners (81.7%) are both elite, as is his 2.20 ERA. 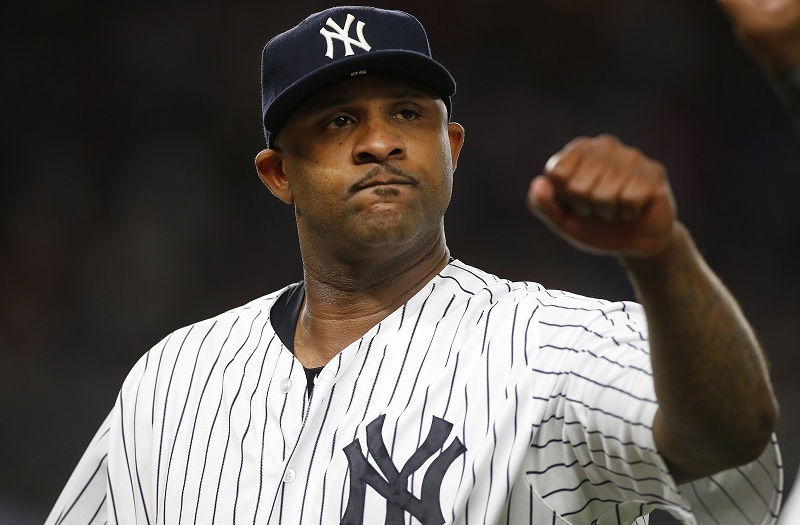 In short, Sabathia has come to terms with his stuff and has become the sort of wily veteran he needs to be to win at this point in his career. Major League hitters are not cowed by his average fastball at 88.6 miles per hour; yet they have only hit .210 off the big fellow when he uncorks that heater. Batters have been even more flummoxed by his slider (.167) and changeup (.171), both of which he throws in high volume. Despite the high walk totals, Sabathia’s command in and around the strike zone has been the key to this incredible run. He can seemingly place his cutter anywhere, and his alteration of high and low sliders continues to confuse hitters — most notably, Mark Trumbo of the Orioles, whom he struck out twice with the bases loaded during a June 4 contest at Camden Yards. You could see frustration on the face of Trumbo and other hitters as they swung through high breaking pitches and other changes of scenery. That game recalled the days of late-vintage Andy Pettitte, and indeed Girardi said the ex-Yankee offered Sabathia advice on the cutter. In his June 16 start versus Minnesota, Sabathia followed a similar pattern of pitching his way around batters when he had to and retiring them without runs when he needed it. Skeptics might wonder if he can continue walking this tightrope. The Yankees are praying Sabathia can continue this run as the team clings to its hopes of staying in the Wild Card race. Outside of Sabathia and the solid Masahiro Tanaka (3-2, 3.08 ERA), New York’s rotation is a crap shoot. Nathan Eovaldi has shown flashes of brilliance and hints of terribleness; Ivan Nova has been unsteady; and Michael Pineda has been mostly a disaster. But pitching is not this team’s main problem. Every starter on the team (with the exception of Luis Severino) has worn the hard-luck label at some point of the season. Sabathia and Tanaka would have upwards of seven wins had the Yankees offense cooperated on any level of respectability. This team is dead in the water until the anemic lineup improves and begins scoring enough runs to win. Regardless, the club can rejoice in the fact Sabathia will not be an albatross as he wades through the final years of his contract. There were few people who saw this comeback as possible, especially following the big guy’s stint in rehab. Sabathia, always a grinder, never appeared to despair when it came to his ability on a baseball field. After several years of physical struggle and his battle with addiction, he’s reclaimed his All Star form. For a Yankees team desperate for good omens in 2016, Sabathia and Carlos Beltran have saved the club’s season thus far. No one saw that coming in Spring Training.